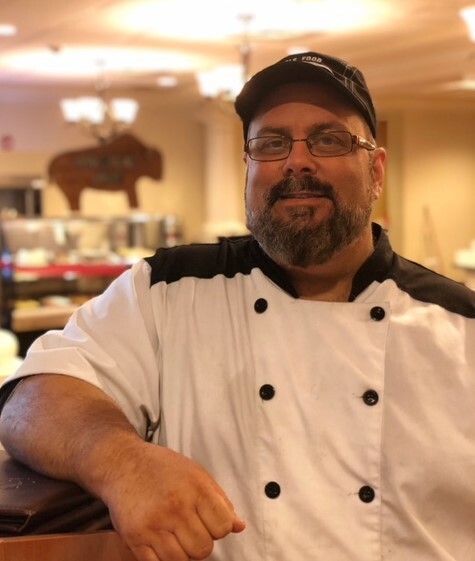 Al Gabianelli, Executive Chef at Buffalo Crossings Assisted Living in The Villages is stirring the pot in senior living dining. 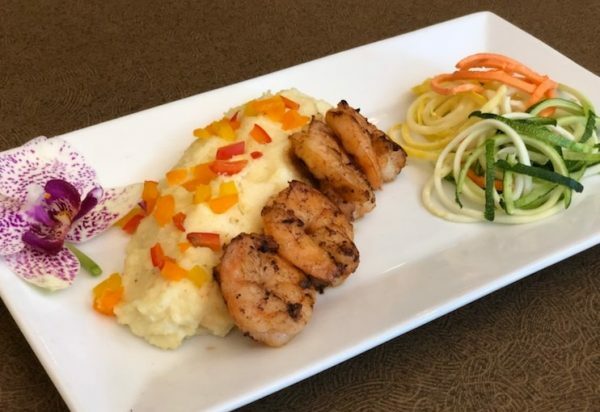 Refusing to prepare flavorless meals, Chef Al takes a creative approach to delivering made-from-scratch dishes for the residents. He brings more than his culinary school education to the table. Chef Al’s experience and passion are, what we like to call, his secret sauce! Chef Al started working in the restaurant industry at age 14, and it was then that he knew culinary arts would be his lifelong career. He attended the Culinary Institute of America, which is recognized as the world’s premier culinary college. After graduation, he was offered the prestigious Chef Instructor Fellowship which allowed him the opportunity to teach at his alma mater for two years. Chef Al claimed his proclamation and was hired as the executive chef to open Buffalo Crossings Assisted Living in 2015. He loves the freedom of creativity he’s allowed in the kitchen, and it shows, or rather, tastes! He takes pride in their in-house bakery where items are made from scratch by himself, his team and the pastry chef. He works with only the freshest ingredients. The seafood is delivered from the Tampa Bay area, and meats are ordered and delivered the very next day. He expresses his excitement for the unveiling of The Villages’ farm-to-table program where he will purchase vegetables in bulk, directly from neighborhood farmers. 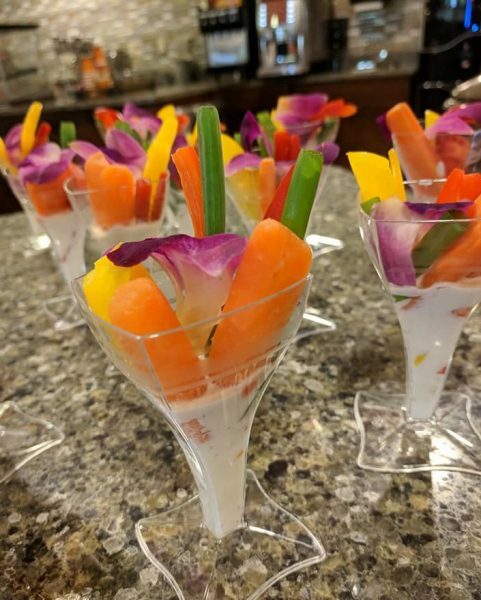 Fresh food means little if the residents don’t enjoy it, which is why Chef Al hosts a monthly menu chat where residents are invited to share their suggestions on the menu items. This is also where he realized the importance of celebrating the Jewish holidays in the dining room. He’s known to prepare matzo ball soup, bagels and lox and other special dishes in honor of the Jewish culture. Among the special menu requests from the residents are the traditional meals that residents can rely on to be delicious and available. These options are listed on the “Everyday Menu” portion of the Buffalo Crossings’ menu. Aligning with the community’s homelike environment, Chef Al included his mother’s special pasta and meatballs with homemade sauce. She inherited it from her mother-in-law after attempting her own version of the dish for her husband when they were newlyweds. Chef Al laughs as he tells the story of how his mother says she nearly poisoned her poor husband with the meal! Since then, she follows her mother-in-law’s recipe, and residents at Buffalo Crossings rave over the dish. It’s said that his mom receives a phone call from her son with each paid compliment. 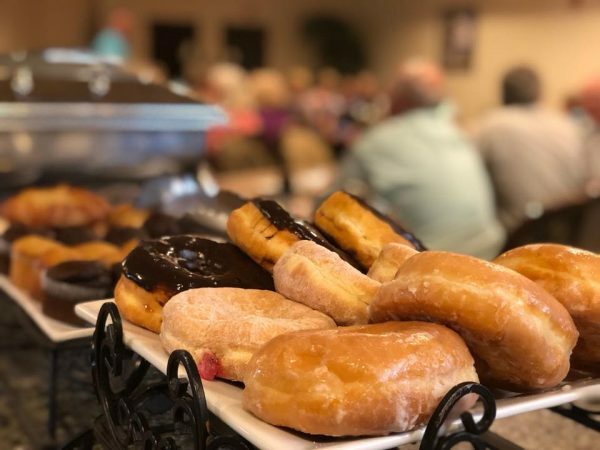 Buffalo Crossings knows how to throw a party, and what’s a party without an assortment of hors d’oeuvres that taste as spectacular as they look? This is where the dining team shines. Each month, the community throws a Friends & Family event for the residents, family members and guests. With themes ranging from Gilligan’s Island, Hollywood Walk of Fame, Spring Garden Party, and more, the food and cocktails always become the focal point. The Buffalo Crossings dining room is open all day, from 7AM to 7PM, so residents may dine at their leisure. 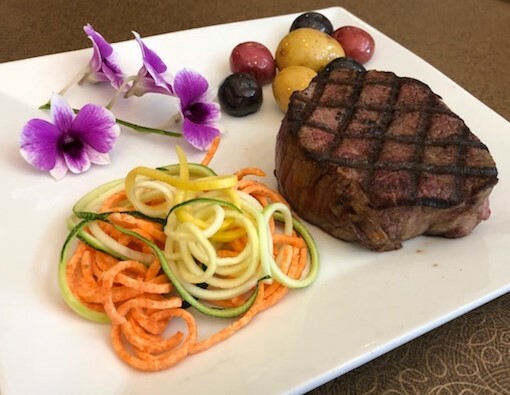 The dining experience at Buffalo Crossings Assisted Living is one of the many special details that merges compassionate care with The Villages lifestyle. Interested in learning more? Call to schedule a visit: (352) 674-4700, or visit the Buffalo Crossings Facebook page for more photos and Friends & Family event details. Bon appetit!